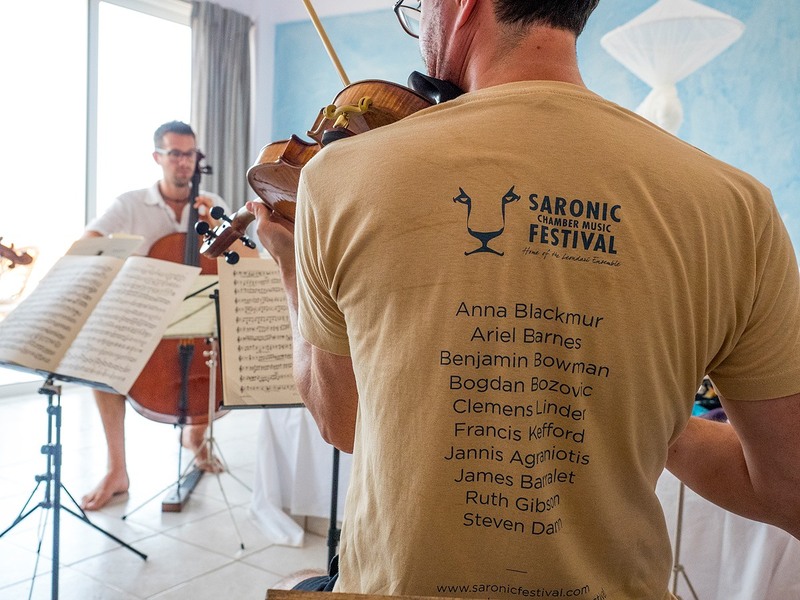 The Saronic Chamber Music Festival (SCMF) has been taking place for past 7 years. It all started in the small village of Galatas where an incredibly passionate Australian lady, Virginia Kalyvas and her godson Francis Kefford, dreamt of putting together an ensemble of talented, internationally acclaimed musicians, who would visit the Saronic Gulf in the middle of Greek summer in order to perform famous pieces by Mozart, Beethoven, Bach, Janicek or Brahms. 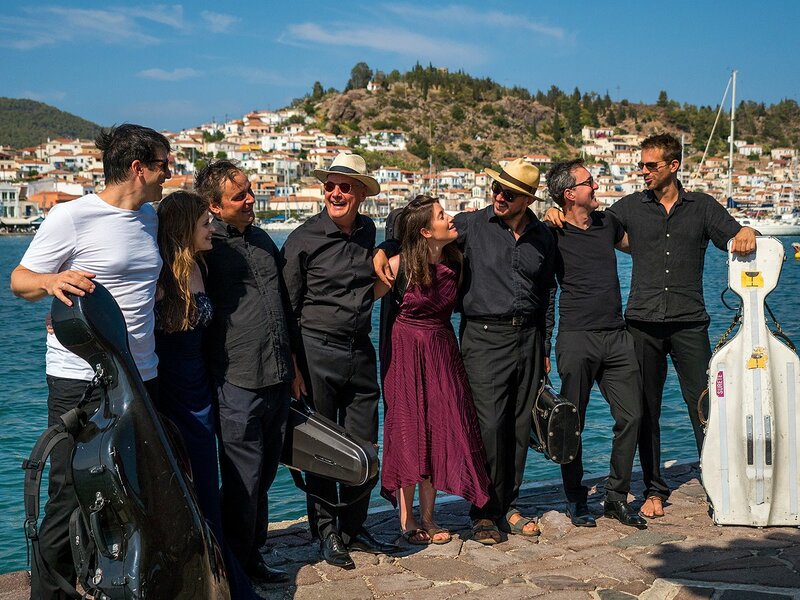 Fortunately for us all the dream came true and, thanks to them, we can enjoy a few days of top quality classical music performances taking place in Galatas, Poros, Hydra, Spetses, Kythira and, for the first time, in Methana. It is that last location we would like to especially emphasise. Methana peninsula is located a 30-40min drive from the village of Galatas on the mainland, Peloponnese. Unspoiled by the hordes of tourists and commercial activity, it has managed to keep its natural beauty and peacefulness. 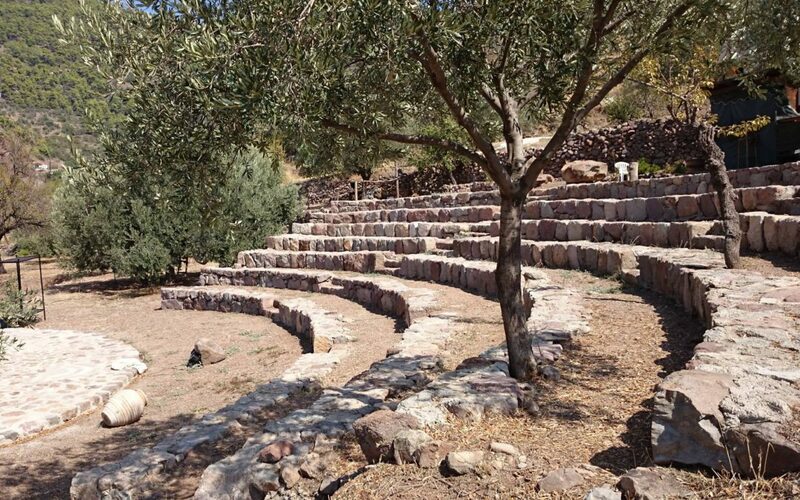 The open air amphitheatre in Kameni Chora, where the performance will be taking place, has been built right at the foot of the volcano by another incredible personality, Theodoris Ioannou. Theodoris decided to construct it by himself with the locally found volcanic rocks. The construction took him more than 2 years, but the final result is just perfect! The ancient Greek ancestors would certainly be proud! Located on Theodoris’ private property, facing the volcano and surrounded by nothing but nature, the Kameni Chora amphitheatre is just a perfect setting for Bach’s “Goldberg Variations” performed by a talented trio: Maia Cabeza (violin), Francis Kefford (viola), Martin Leo Schmidt (cello). Imagine looking up at the lit volcano, being surrounded by the green trees of Methana, having the moon and stars as companions and listening to the musicians taking you to another, magical world of music. Needless to say, it will be as unique as it gets. And if you think you are not a fan of classical music, trust us, this performance can change your mind! For those who won’t have their own transport there will be a bus provided to take you to the theatre and back. 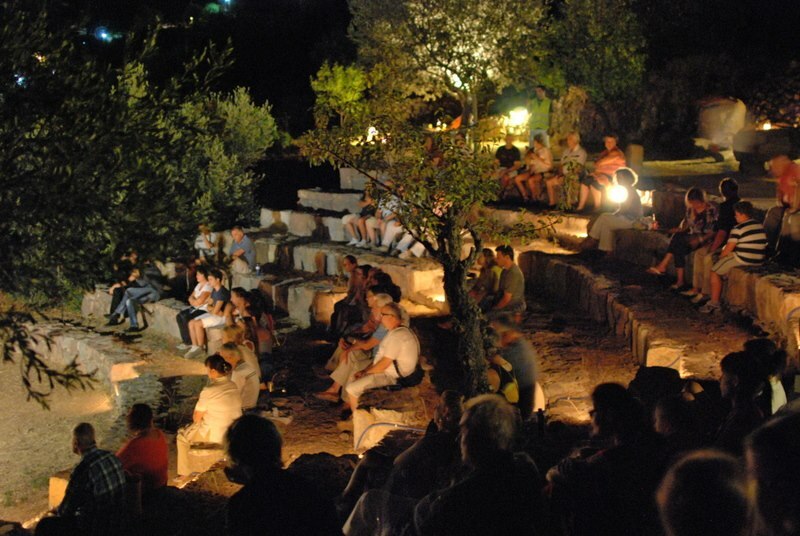 The bus will leave from the village of Galatas (across Poros island) right where the big, car ferries stop at 7:30pm, to arrive in Kameni Chora by 8:30pm (the concert starts at 9pm). You should have enough time to grab a drink and a snack at Theodoris’ cafe, which seems like an integral part of the volcano itself. After the concert is finished at around 11pm, the bus will take the guests back to Galatas. The price of the bus ticket is 10 EUR (round trip). The concert entry will also cost you 10 EUR. You can book your concert and bus tickets here. Don’t miss this special event! Join us for some magic on the 1st of August (Tuesday)!